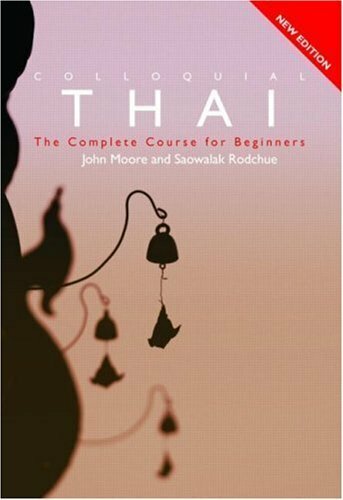 I have been using this book for around four years as it was recommended to me by a former Thai student who studied Thai in college in America and I think it offers the best explanation for non-native Thai learners. As a Thai, David Smyth’s book offers a clear sense of how Thai structures work since I did not learn Thai the way I learned English syntax. Personally, I think that this book offers a better explanation of Thai structural concepts than Thai Reference Grammar by James Higbie. Higbie’s book though focuses mostly on colloquial Thai, I find the book’s content arrangement confusing. 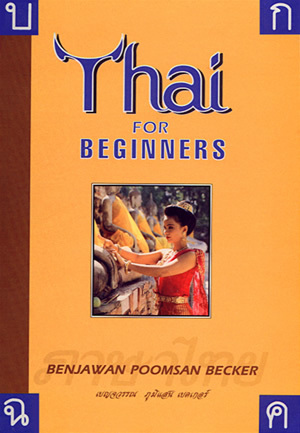 If you are serious about learning Thai and can get a hold of this book cheap, I highly recommend this book. The part that is a “turn off” for most students when they use this book is transliteration. However, if you are not willing to learn the Thai basic writing, you will have to face that problem that all Thai books use a different system of transliteration anyway. The way to use this book: start from the Appendix in the back and you will learn how Smyth’s transliteration system works. After you learn the transliteration system works on the chapter on verb and question. I typically use this book for vocabulary learning. 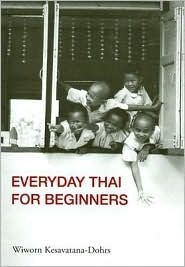 Considering its inexpensive price, it should be your first Thai learning book. If you can get a hold of the audio CD, it will also be helpful. The multimedia version, however, has not been as useful to my students. I recommend using this book for its extensive word list and David Smyth’s Thai: An Essential Grammar for structure. Both books should get you started in putting the sentences together and engage in a conversation. Try to categorize the words you learn from Becker’s book since if you jump in to try to memorize all the words from lesson one to ten, you might have a real serious headache, and give up learning Thai altogether. For example, memorizing places from lesson two and try to use a visual map of your neighborhood and start calling the post office as Bprai-Sa-Nee. This is a quick reference book if you are about to go on a trip to Thailand. Some of the words will need a major revision since Thai expressions do not work the same way as English does so you cannot simply do a direct translation. However, my students find the dictionary at the end of the book really useful. The merit of this book is in its extensive exercise. It also provides a learner with funny and realistic conversations. I think the chapters progress naturally and the book includes the Cultural section which I find tremendously useful. The horrendous part is still the transliteration so the book should be useful after you have some knowledge of the basic Thai writing. Finally, the Thai learning book with a good illustration. This book is highly recommended if you are choosing a book to use for a small class. The content is categorized into different topics, similar to Progressive Thai by Rungrat Luanwarawat. However, I personally prefer using Everyday Thai for Beginners to reinforce vocabulary when I teach based on scenarios. For examples, when I teach on a restaurant and ordering food chapter, Everyday Thai for Beginners offers possible sentences than merely offering the names of food items like in Progressive Thai. Good Selection of Thai language books. Have been looking for this for a while. At last I found what I should recommend to my friends Thank you.